While Peru inevitably evokes images of Machu Picchu and the Incan empire, the country is also riddled with other archaeological sites which are a legacy of even more ancient times. They show us a time when great civilizations bequeathed a legacy of their art, customs and rituals, as well as their wisdom and skill. Ten thousand years of history survive today in nearly two-hundred museums and historical places dotting the cities and towns of this complex country. 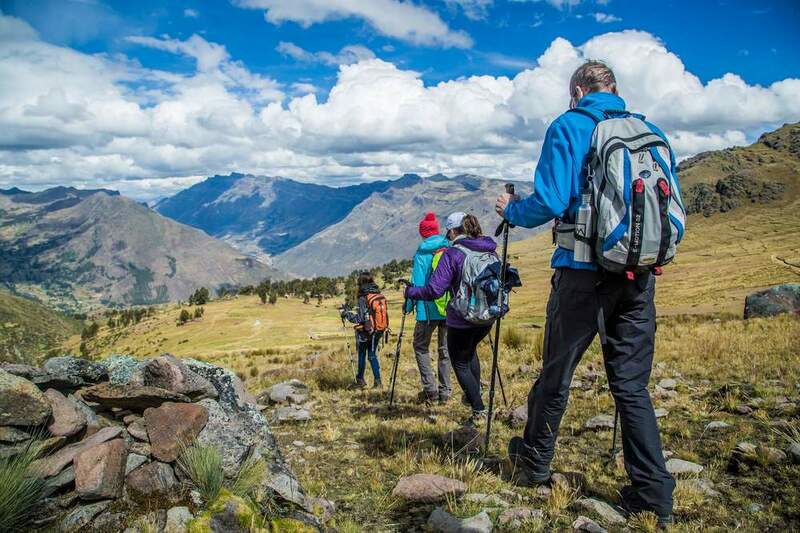 By combining a cultural exploration with a hiking trek you can optimize the best of what Peru has to offer, all while engaging in genuine interactions with its people and landscapes. The natural and cultural treasures that Peru contains are unmatched anywhere else in the world. Perhaps the most famous is Peru is Machu Picchu, the historical Inca site built in the 15th century. Because this site was unknown to the Spanish during the conquest, Machu Picchu has remained a relatively intact cultural landmark. Peru includes a vast range of diverse climates (28 to be exact) and with a change of climate comes a change in flavors and culture. Some delicious cultural dishes that you simply must try include lomo saltada, empanadas, and ceviche mixto. Be sure to pair your Peruvian dish with a tasty pisco sour! Outside GO has searched Peru long and hard to find the coolest and most adventurous experiences for a truly uncharted experience. Your stay here can include a variety of active adventures that range from exploring the quaint streets of Cusco all the way to trekking through deep forests of the Amazon. "Going to Peru is, well, if you ever have an opportunity in your life to go there, you should do it because it is absolutely mind boggling." Your ideal Peruvian vacation starts here. A fusion of breathtaking landscapes, intimate cultural experiences, and forays deep into the jungle are yours for the taking with this one-of-a-kind itinerary. No matter how your family enjoys Peru you’ll come home with at least one epic selfie in front of Machu Picchu with smiles all around.